Piranha Games president Russ Bullock announced via Twitter that MechWarrior 5: Mercenaries, the single-player focused first-person vehicular combat game previously due to be released this December for PC, has now been delayed and will launch next year. MechWarrior 5: Mercenaries is being delayed into 2019 so we can deliver the best single-player MechWarrior experience to date. As everyone knows, this is the first single player experience MechWarrior title released since 2002 and we are well aware of the responsibility and great opportunity we have in re-introducing MechWarrior to the world. At this time were only prepared to announce a slip into 2019 and would like to give ourselves until MechCon this Dec 1st in Vancouver to determine and announce the specific launch date in 2019 so that we can be as accurate with our estimations as possible and avoid further delays. Although undoubtedly many MechWarrior fans will initially be disappointed by the longer wait, we also feel confident and assured that we will get 100 percent support from MechWarrior fans to release the best product possible. 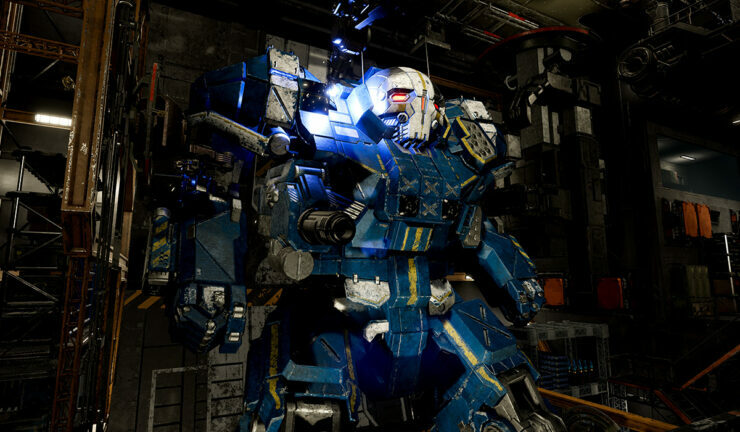 Additionally, this gives fans and media even more reason to attend this year’s MechCon to get hands-on with a robust and unforgettable playable demo for MechWarrior 5: Mercenaries. Please visit https://mechwarrior.com/mechcon for more details about our biggest event to date. MechCon will take place between December 1st and December 2nd at the Vancouver Convention Centre East Building Hall A.